The lessons and stories from the beloved novel A Christmas Carol point to bedrock values we all share. Award-winning author Bob Welch takes readers deeper into the nuances of this classic by Charles Dickens. 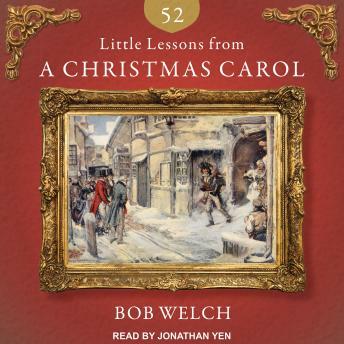 From the miserliness of Scrooge to the innocence of Tiny Tim, 52 Little Lessons from A Christmas Carol will inspire readers to live for what really matters, not only at Christmas, but all year long.